Chips with no guilt? Yes, they exist! 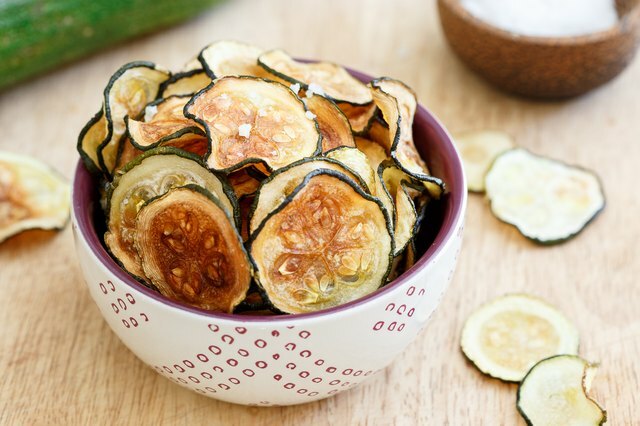 Perfectly crispy zucchini chips can happen right in your oven, and there's no better time to make them than at the end of summer when zucchini is overrunning gardens and stock-piled in grocery stores everywhere. 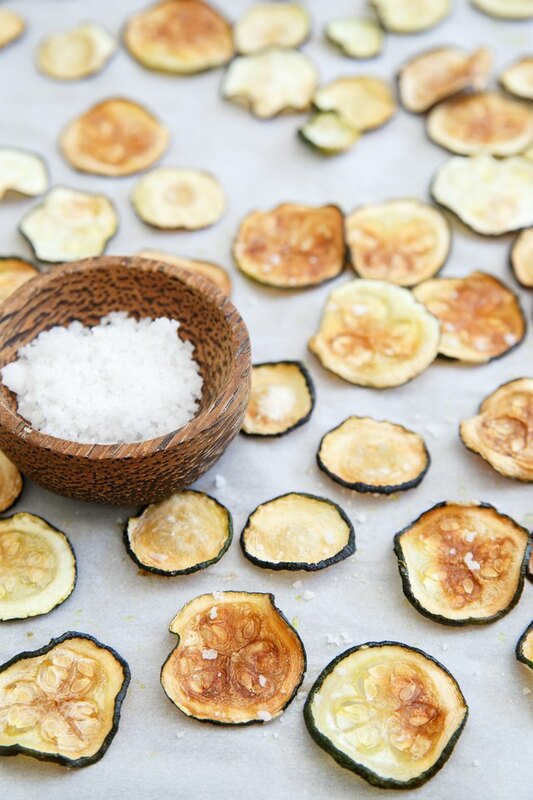 Fancy dehydrators need not apply, too — all you need is an oven and a little bit of patience. Add any seasoning you want, or keep things simple with a generous sprinkling of sea salt. Either way, you can eat the tray, and ditch the guilt. 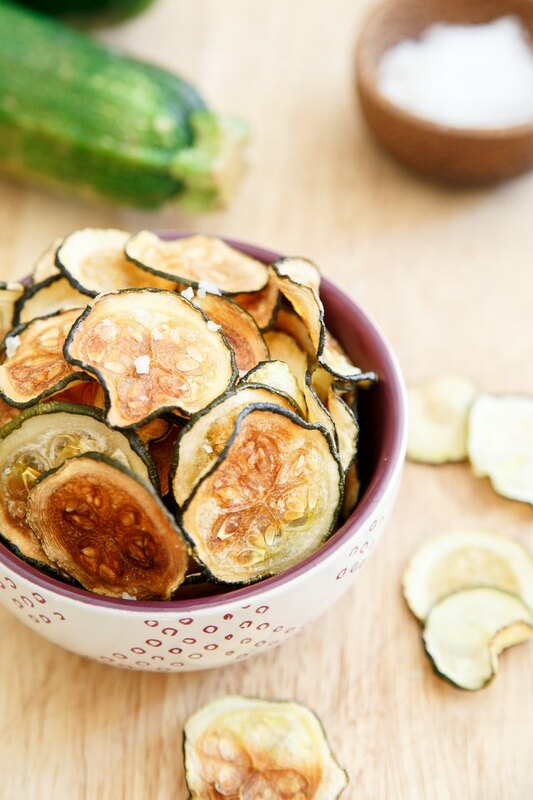 Place zucchini slices on a paper towel, and then blot the tops of the slices with another paper towel to remove as much excess moisture as possible. 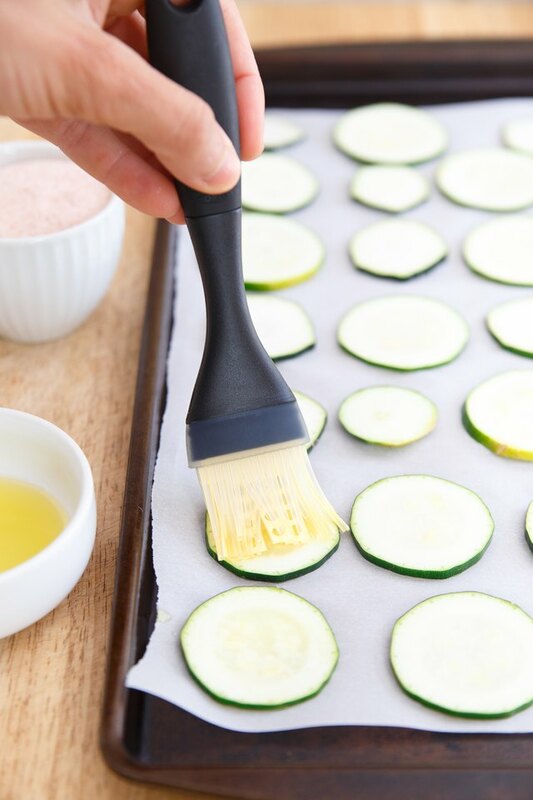 Put the zucchini slices on parchment-lined baking sheets and lightly brush them with olive oil. Don't over-oil the zucchini! Just a light coating is best for crispy chips. Lightly salt each slice. The salt should stick to the pieces. Place the sheet in a 200-degree Fahrenheit oven for approximately 2 hours, carefully flipping each slice halfway through. Start checking the chips for doneness around 1.5 hours. Smaller pieces will crisp up faster. Once they start to turn golden brown and are dry to the touch, remove them from the oven. Season liberally with sea salt immediately after removing the chips from the oven.